India's oldest and arguably finest writer in English Nayantara Sahgal triggered the 'award wapsi' movement in October 2015 by returning her Sahitya Akademi award. She's now back in the news for reaccepting the award. "It is a lie. I have not accepted back the award I earlier returned," Sahgal told Catch. Sahgal had returned her Sahitya Akademi Award last year, as the "unmaking of India" and the growing intolerance pained her. That sentiment hasn't changed since. "The writers' fight and my fight for the freedom of expression is still on," she reiterates. 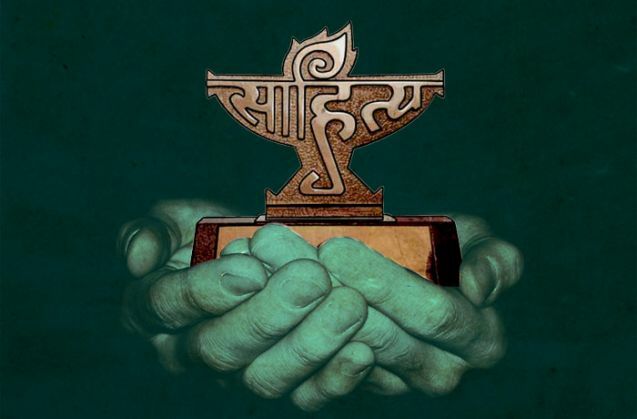 In a recent letter to writers, who have returned awards, the Sahitya Akademi announced that it has a new policy of not keeping returned awards. It also returned Sahgal's cheque of Rs 1 lakh, which she had returned to the Akademi in October. "The Akademi sent a letter that it has a new policy which does not allow it to keep returned awards. It has taken them so many months to decide this. Why didn't it say so before?" asks Sahgal. "The cheque I had returned to the Akademi of Rs 1 lakh in October is now invalid. A cheque is valid for 3 months. If it is returning the cheque now, then it is their business." She is irked that no one called her to verify the facts even. In a signed statement elsewhere, Sahgal wrote, "Let me make it clear, I am not taking back either the award or the cheque, which is now invalid anyway. My protest against the crushing of dissent stands, and I shall continue to speak and act for the freedom of expression." Sahgal won the Sahitya Akademi award in 1986 for her novel Rich Like Us. Following Sahgal's footsteps, hundreds of writers, artists, academicians, scientists and filmmakers had returned their awards last year. A symbolic gesture to protest the growing intolerance in India. And more specifically India's contempt for creative and intellectual work and imposition of conformity of thought, belief and practice. The fear that Sahgal possibly taking back her award would trigger another movement among writers, was put to rest by fellow-writer Githa Hariharan. "This is part of the climate we are in: crush dissent by rumour-mongering and lying about the death of dissent. From the shocking lies and questions raised about Rohith Vemula's death to the 'taking back' of awards earlier returned as a gesture of protest, there is a pattern." "Cast aspersions on those who question, protest, dissent, rather than confront the reality of either discrimination, diversity, or freedom of expression," adds Hariharan who curates indianculturalforum.in. Sahitya Akademi chief Vishwanath Prasad Tiwari says it is impossible to reaccept awards from writers. "The executive board of the Akademi took a decision in December that it would not reaccept awards from writers. We have written to all writers that they cannot return their awards," Tiwari told Catch. "If we wanted to take back the awards we would have encashed the cheque given by Nayantara Sahgal. But we did not. We have returned the cheque to her. Let the writers say what they have to." Asked if the meeting shouldn't have been held sooner, he said, "We held a meeting in October. And then again in December. We organised around 50 functions in between. We do a lot of work and were busy. " "The records cannot be changed. Their writing has been translated into many languages. Do you know that, 'who won the Sahitya Akademi award', is a popular question in general knowledge quizzes? How much can we change?" he asks. Tiwari said he was satisfied with the steps the Akademi had taken so far to show solidarity with the writers across the country. Tiwari is hopeful that the Akademi will win over the writers sooner or later and that things will normalise themselves over time. For now though, Nayantara Sahgal seems to have won this round hands down.